Curl Fitness is hosting another wonderful drive for foster children! 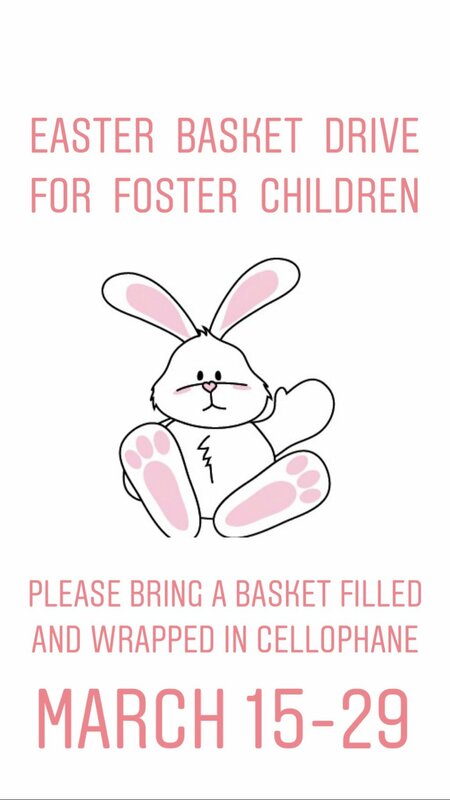 We are collecting Easter baskets filled with goodies. Please bring in any type of basket you'd like wrapped in cellophane! Just drop them off at the front table!